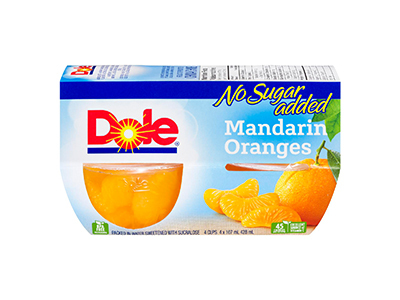 DOLE® No Sugar Added FRUIT BOWLS® are bite-size fruit pieces in new, lighter formulations with no sugar added and reduced calories. 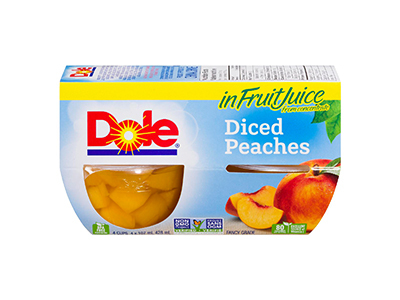 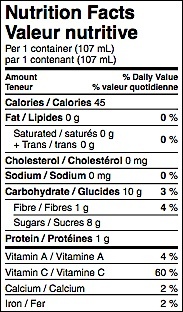 They come in three popular flavours, Lots o Cherries Fruit Salad, Mandarin Oranges,and Diced Peaches. 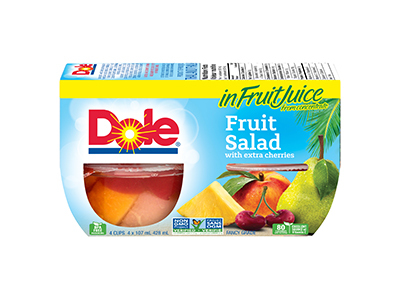 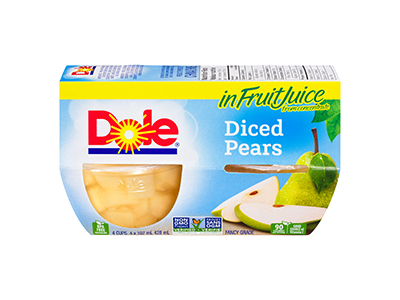 DOLE makes healthier snacking easy!